While I was researching about landscape painting in anime style, I noticed that most good paintings used a hue of blue/cyan/purple for shadow. At first, I thought it was just an art decision to use a more saturated colours in painting. But as I spend more time observing shadow colors in real life, I realized there are colours in shadow too. But why we always thought shadow are black or gray? I assume this is because we tend to spend more time indoor nowaday where the shadow didnt receive enough sky light (ambient). Beside that, cloudy/haze/fog day which block of most of the sky light also cause grey colour soft shadow. Black shadow usually lit by the sky ambient color which is blue. 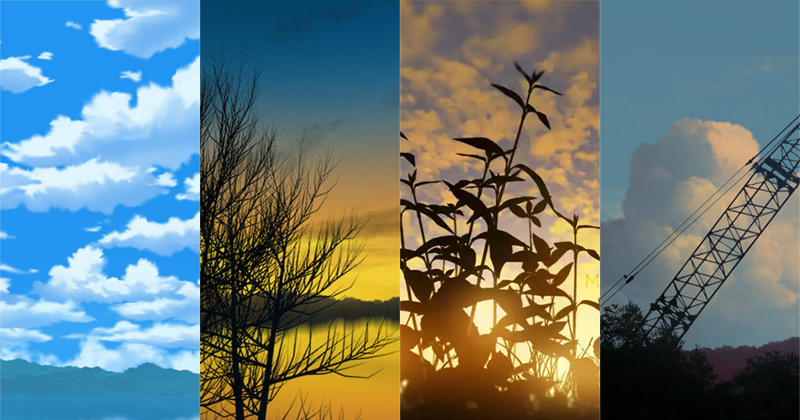 Look at photos I took below to see the different shades of blue. 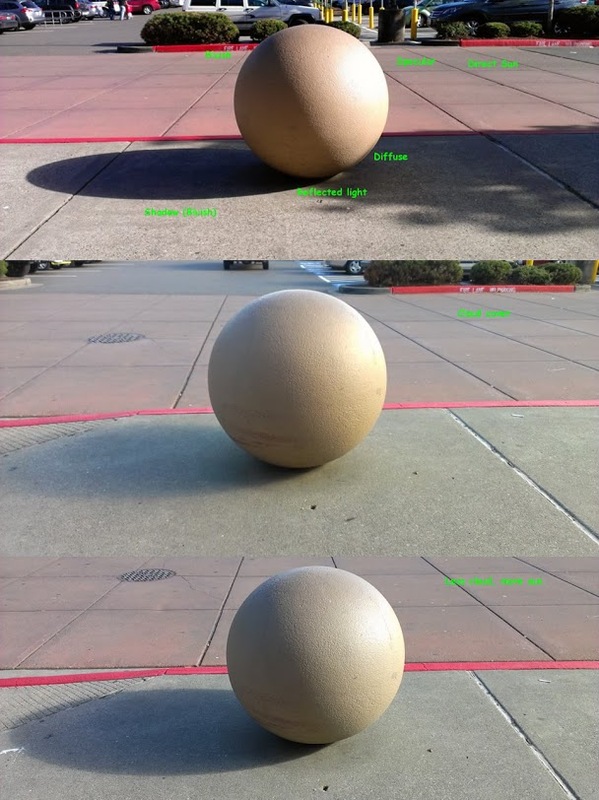 Shadow colour are affect by the object's surface (material) colour too. Look at the above photo. The shadow on the path at left have more warm colours in them, while the shadow on the road have more blue. This is because of the object surface colour. 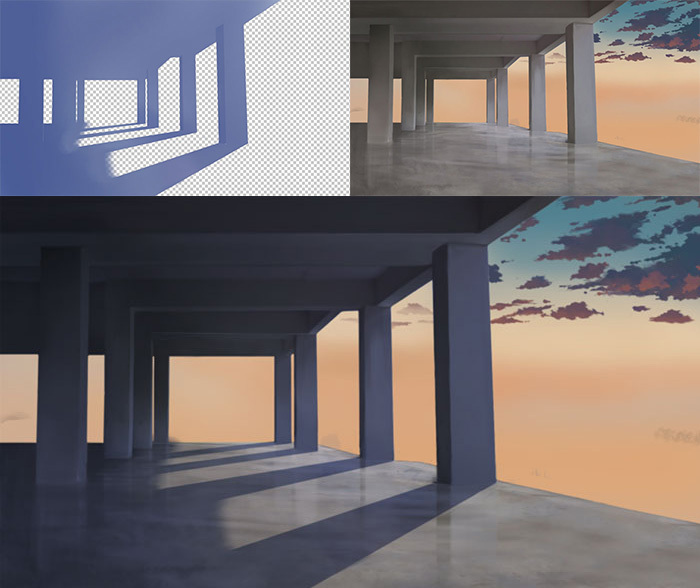 One quick way to paint shadow is to seperate the shadow into different layer and use "multiply" blend mode. By using this method, we dont have to worry about what is the shadow color. Some of my artwork which feature light and shadow. If we seperate the shadow in different layer. We can animate them easily too. This is very helpful! Q A Q Thanks!